Robert Bruce: In the days before the Internet, if you wanted to create and distribute any kind of media on a large scale, you needed to either be wealthy, have connections, win the cultural lottery of getting picked, or possess a nearly impossible combination of any of those factors. 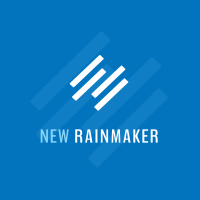 This is New Rainmaker, from rainmakerplatform.com, I’m Robert Bruce and today Brian Clark takes a look at the true and potential value of creating original media over time … and why you must own its distribution. Brian Clark: Back in the 1930s, a detergent company based in Cincinnati had a problem. There was no effective way to reach the women the company depended on for revenue during the Depression-era decline of the United States economy. The company decided to innovate by reaching these women in the home with stories, through a new technological medium … radio. Not just any stories, mind you, but compelling episodic tales of families facing strife, drama, joy and pain, complete with multiple plotlines and cliffhanger endings. That company was Procter & Gamble, which went on to become one of the biggest brand advertisers on the planet. But when it came to this particular channel, P&G was both the media producer and the advertiser. At the dawn of television in 1952, Procter & Gamble Productions quickly shifted its Guiding Light serial from radio to TV, followed by the debut of As the World Turns in 1956. The aptly-named “soap opera” became a staple of American culture and, by the 1970s, the most lucrative television market around. Let’s pause for a second and let that sink in. Because other than giving people what they want, instead of what they don’t, this is the biggest difference between a media-first approach and marketing. And it’s one some people are screwing up badly. Robert Bruce: To rent, or to own? In a someone’s personal life, this question usually boils down to the financial decision on a home, and there are a lot of smart and strategic reasons why you might choose either path. But in business? When it comes to the creation and distribution of media? There is only one truly wise, long-term path. Brian Clark: When people think of media and money, they think advertising. But we’ve already seen quite clearly that you don’t have to sell your audience to others to make money. But even with an advertising model, it’s only part of the economic equation. Here’s the beauty of the media business. You create something, it makes money. Once you’ve stopped creating that something, it can still make more money. Sometimes way more money. Let’s take a closer look at television. Did you know that some producers will sell a show to a big network at a loss? It’s true, but why would they negotiate a payment that’s less than it costs to produce the show, while the network profits from day one by selling ads against the content? It’s because if a show can attract enough of an audience to last four seasons or so, that show can be syndicated. That means the producer licenses the show to one TV station in each media market, or to a commonly owned group of stations … which can result in serious cash. And licensing means you’re not selling it outright – you still own it. At the ridiculous end of the spectrum, Seinfeld, as of 2013, had generated $3.1billion in licensing fees in the 15 years since the final episode. But even Charles in Charge succeeded in first-run syndication despite being canceled by CBS after only one season. Okay, let’s bring this back down to terms relevant to us. In 2010, I got a 7-figure offer for copyblogger.com. That offer did not include StudioPress, or Synthesis, or Scribe, or any of the other products that we actually make money from. Just the website, by itself. That’s because the site, and its content, traffic, and audience has independent value as intellectual property. It’s a digital media asset that another business could use for it’s own purposes – and therefore that business would be willing to pay handsomely for it. Obviously, I turned the offer down. The offer wasn’t even close to reflecting the value the site brings me each and every year, much less for an exit price. So the site has a marketing function that makes money. But it’s also a media platform that has value in itself. You’re not just creating disposable marketing materials with a media-first approach. You’re creating something that makes you money today, and continues to accumulate value in itself over time. Marketing is something that costs money and then eventually stops working and is replaced by something else that costs money. Building a media asset is an investment that provides a short term return on investment, and also creates long-term value as intellectual property that can be sold, licensed, or put to work in many other ways. Robert Bruce: “A chicken in every pot and a car in every garage.” That’s what Herbert Hoover promised the American people during the Presidential campaign of 1928. Like the vast majority of political promises, it did not come to pass. But almost 90 years later, an infinitely more valuable promise, one that no politician ever made and that — at one time — could not even be imagined, has come to pass. A printing press in every home. A media company in every pocket. We call it the Internet, the personal computer, the smartphone, and their power to drive businesses large or small through the production and distribution of media has only begun. Brian Clark: Intellectual property is powerful stuff. So let’s run through our three media examples again to discover something remarkable about creating your own online platform. Marvel had intellectual property to start with in the form of characters and stories. What they didn’t have at the time was money. So, they licensed their characters and stories to powerful Hollywood studios who made fantastic films that increased the value of Marvel’s intellectual property – all with zero risk to them! This led to revenue and profits through merchandising, and more film licensing deals on better terms. It’s this ten-year turnaround strategy that took Marvel from bankruptcy to a $4.2 billion dollar payday. David Visentin has a personal media brand thanks to starring in Love it or List it. The show’s producer Big Coat Productions makes money through first-run syndication of the show, which means several other cable channels in addition to HGTV have the right to broadcast it and run ads against it. Even once the show ends, Big Coat will likely continue to make money by syndicating reruns. And David will continue to get business thanks to those reruns! But he doesn’t, unfortunately, own any of the intellectual property rights to the media asset he stars in. Now, let’s look at WineLibrary.com, which powers wine sales for Gary Vaynerchuck’s family business. This DIY, no-permission-from-anyone online media platform is more like the Proctor and Gamble soap opera example – they sell products from a smarter form of marketing, AND they own the intellectual property as well! If the Vaynerchuck family decided they wanted to sell the business, it certainly makes sense to sell the entire operation – physical plus digital. And when you think about it, the website is actually worth more than the physical assets. After all, it was the web presence and move to ecommerce that increased revenue from 3 million to 45 million. Take away the website, and revenue drops dramatically. But what if you just sold off the retail store, inventory, and other physical assets and held on to the website? You could sell it separately, or like the television producers, license it to another wine retailer, a wholesaler, or even a wine magazine looking to expand into ecommerce – and collect revenue year-after-year. And this doesn’t even factor in that Gary left the wine business, and thanks to the personal media brand he took with him landed a 7-figure book deal, started his consulting firm Vayner Media, and recently launched a digital talent agency. Given what web development cost back in 1997, WineLibrary was probably relatively expensive, but completely worth it given the huge increase in sales, year after year. And it cost nothing compared to producing Love it or List it, never mind a single superhero movie. Today, the cost of building a powerful online media platform is relatively tiny. Especially when you think about the multiple levels of return. Robert Bruce: If you’re going to play the game, you better know the rules. And one of the most important rules of smart digital media production is … own it. 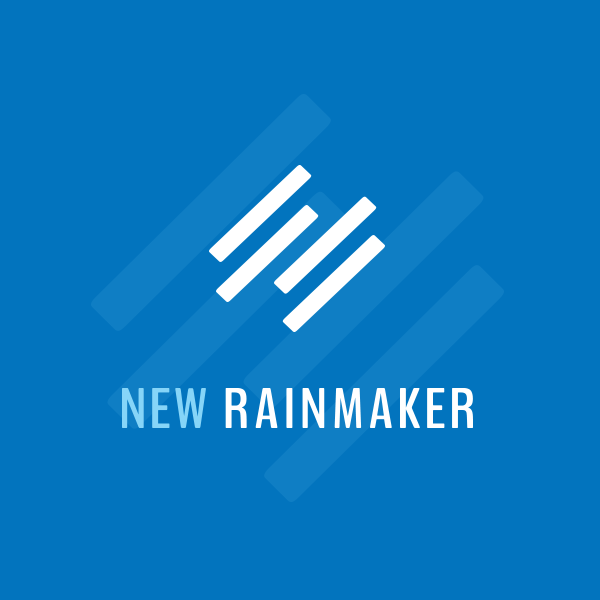 Brian Clark: Some people are too smart for the logic of the new rainmaker. They’re going to take the fast track shortcut to success with social media. You may have noticed that Facebook changed the way their business pages work. Now it’s difficult, if not impossible, to actually reach the audience that you yourself built on Facebook! Facebook has a simple solution though … pay them. In an amazing bait-and-switch turn of events, Facebook, which creates no content, wants to charge you like a traditional media company would. Hey, what were you expecting? It’s their platform, not yours. And you’re getting off easy. At least you’re not one of the many who had their business page, and audience, deleted for some infraction of Facebook’s rules. Or, deleted for some unknown reason, since Facebook didn’t bother to explain why. Because you don’t make the rules. Social media platforms are great for driving traffic back to your own platform. But build exclusively on their land, and you’re putting your fate in the hands of a silicon valley oligarch with a demonstrated indifference to you and your goals. Looking at Facebook’s stock price right now, Mark Zuckerberg is worth $33.8 billion dollars. Maybe it’s time to focus on building your wealth instead of his? Beyond the lack of control when you sharecrop, you’re not building your own media asset. You’re not getting the compounded return of creating intellectual property with independent economic value at the same time that you’re effectively marketing your products or services. You do that by building your own site, on your own domain, with a media-first approach. And it’s never been more doable than it is now. Robert Bruce: Thanks for listening to New Rainmaker … if you like what you’re hearing, please let us know by heading over to iTunes and giving us a rating or comment there.